This famous hand drawing is now available in print form after 30 years of being archived. 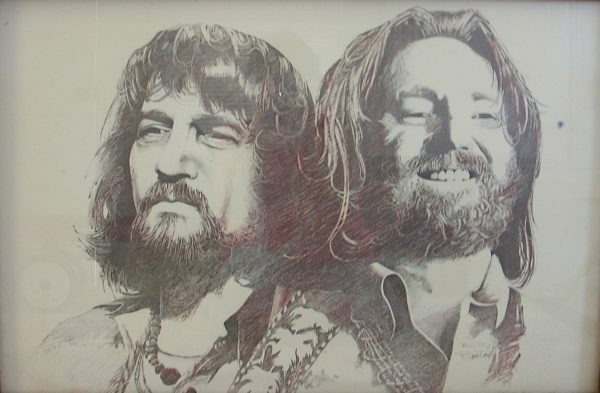 It is widely considered the “best drawing of Willie Nelson and Waylon Jennings ever” as quoted by Willie Nelson himself. This historical limited print has been sought by international recording artists and for decades only a limited few have had access to it. Today the artist is offering a limited run of 1000 pieces. Each piece is hand-numbered by the artist and only 500 will be hand-signed.